This vanity is striking in its simplicity. It features a beautiful widespread chrome faucet. Don't forget to check under the hood with the innovative storage system that includes a nested drawer. It also features a medicine cabinet that can be either wall mounted or recessed into a wall. 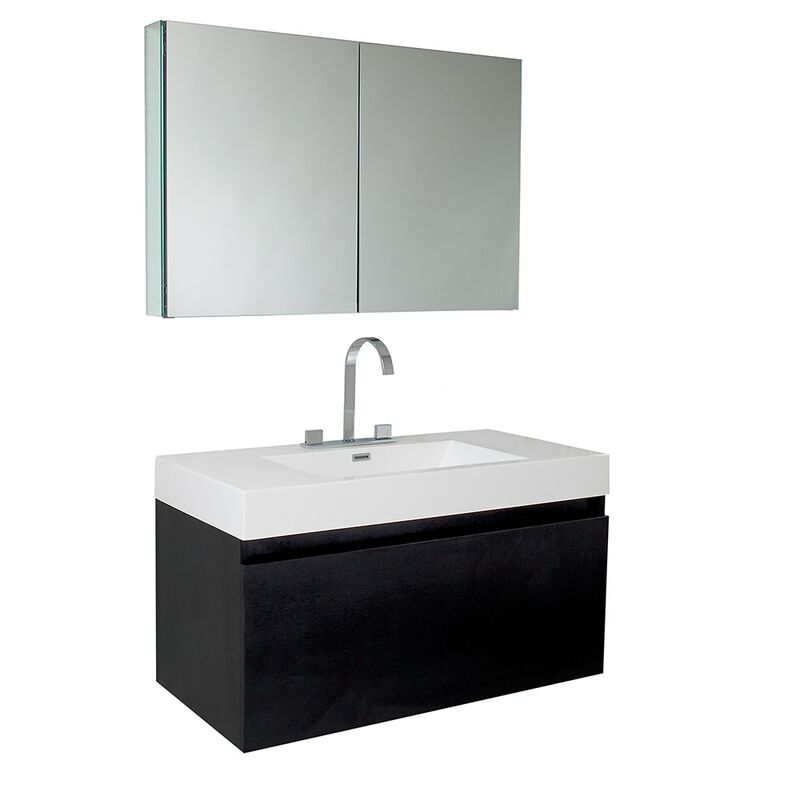 The Mezzo is a larger version of the Nano Vanity. 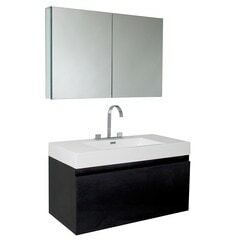 Dimensions - Vanity: 39"W x 18.63"D x 21.5"H; Sink: 21.75"x12.38"x4.75"